The lounge area at Novela. Photo by Lance Skundrich. Books lining the walls at Novela. Photo by Lance Skundrich. 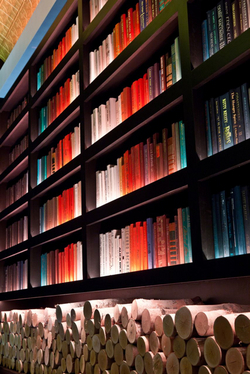 As previously reported on tablehopper, there’s a new literary bar in town. The soon-to-open watering hole, ~NOVELA~ has a “novel” theme (ha-ha), complete with vintage books organized by color, cocktails named after authors and literary characters, and furnishings evocative of a library. The cocktail program comes from bar veterans Kate Bolton of Maven and Michael Mina, and Alex Smith of Gitane and Honor Bar. 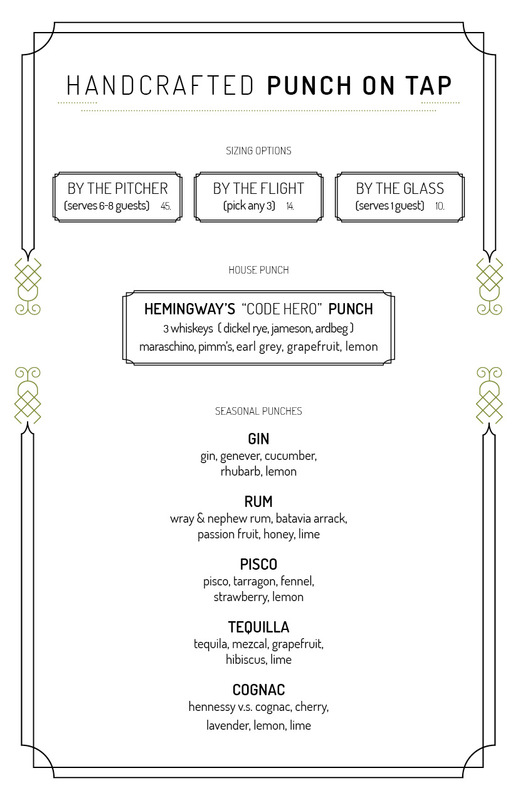 You’ll find historically inspired punch on tap, available by the pitcher, glass, or flight; take a look at all the options here. 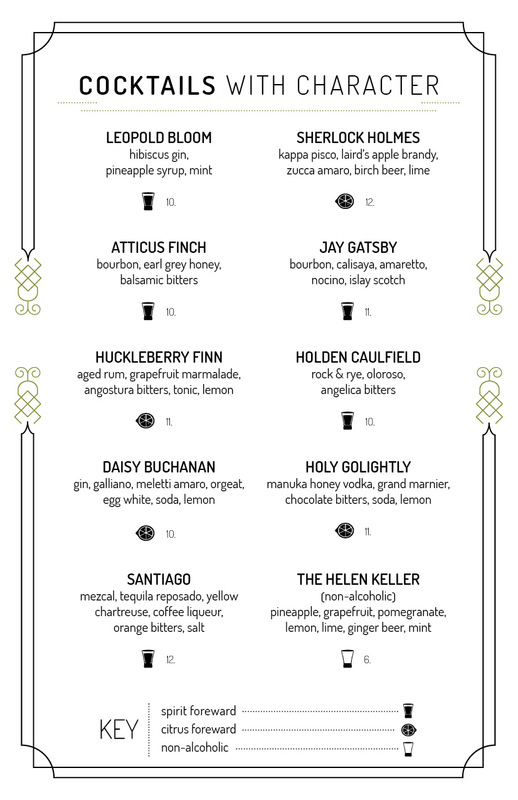 There are also cocktails like the Sherlock Holmes (pisco, apple brandy, zucca amaro, birch beer, and lime) or the Holden Caulfield (rock and rye, oloroso, and angelica bitters); here’s the full list for your perusing pleasure. There is also space for private groups in the Hemingway Room, which is probably the perfect place to enjoy a few of those punch pitchers with some of your rowdiest (and most literary) friends. Opening this Friday May 31st. Hours are Mon-Fri 4pm-2am and Sat-Sun 6pm-2am. 662 Mission St. at Annie. 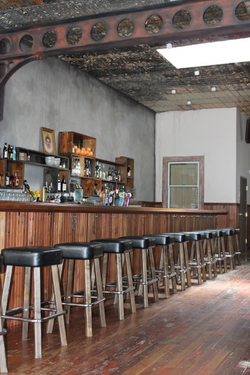 Also opening soon, this time on the Mission/Bernal border, is ~VIRGIL’S SEA ROOM~. 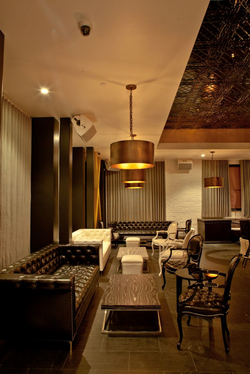 The new bar takes over the former ~NAPS III~ space on Mission and comes from Lila Thirkield (owner of the Lexington Club), Gillian Fitzgerald (Nickie’s), and Tom Temprano (founder and DJ of the soul party Hard French and President of the Harvey Milk LGBT Democratic Club). The goal is to create a neighborhood bar where all the many (and diverse) Mission residents can come together for a drink ranging from a beer to a vodka soda to an expertly mixed Sazerac. The space was designed by David Marks of Room 4 (they used to have a storefront on Valencia) and features the space’s original wallpaper and vintage furniture and light fixtures. They’re hoping to open in the next two weeks; stay tuned for an exact date. Hours will be Mon-Thu 4pm-2am and Fri-Sun 1pm-2am. 3152 Mission St. at Precita, 415-829-2233. Since Daniel Hyatt left ~THE ALEMBIC~, there have been a few changes with the staffing. Gregory Quinn has become the new general manager and has a pair of intrepid bar managers now too: Danny Louie and Ethan Terry. Louie has been a bartender at Alembic for a long time, and Terry signed on after leaving Heaven’s Dog/AQ. The two will work together on crafting the cocktail list, though Terry’s role will be more operational. He’s spent the last three weeks working some bar shifts and will be transitioning into his more active role going forward. The two have worked together previously on their project Cocktail Lab and are excited to have the chance to rekindle their barmance. Rock on, guys, and we can’t wait to check out some of your concoctions. Join local bars in supporting the relief effort in Oklahoma with Negronis for Okies this week. In conjunction with Imbibe Magazine’s Negroni Week, you can get Negronis all over town, with the proceeds benefitting the Oklahoma Education Foundation and going directly to the schools affected last week. This evening, Tuesday May 28th, head to Alchemist in SoMa, who will be offering their Negroni special from 5pm-8pm. In coming days, look for Negronis at Rye, Elixir, Trick Dog, and 15 Romolo, to name just a few. Check out the full list and schedule here. Raise a glass to recovery and rebuilding. 679 3rd St. at Townsend, 415-746-9968. The ~HI-LO CLUB~ is celebrating their first anniversary on Wednesday June 5th with a Bourbon & Bacon Happy Hour from 6pm-10pm. Seriously, nothing says happy birthday like bourbon and bacon. Order any bourbon or whiskey from their extensive list, and you get a side of applewood smoked bacon from neighbor Morty’s Deli. You can also pick up one of their Bourbon & Bacon T-shirts for $20. Bottoms up to (delicious) birthdays! 1423 Polk St. at Pine, 415-885-4788. 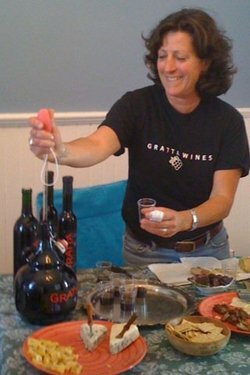 Barbara Gratta with her wines. Photo from Facebook. Get your wine-loving self to ~EL RIO~ on Friday May 31st for another installment of Mugsy Wine Bar. This time around, they’ll have Gratta Wines, plus bubbles from Rock Wall and Brown Estate, and even some bites (you’ll be able to taste some of the bread from Fox and Lion). Mugsy happens on the back patio from 5:30pm-8:30pm (pray for nice weather), and glasses will be in the $7-$8 range. 3158 Mission St. at Precita, 415-282-3325. 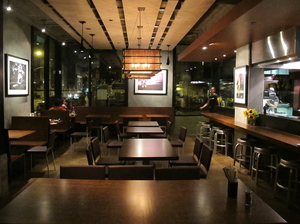 The interior at Nojo. Photo: © tablehopper.com. ~NOJO~ will be offering two beer dinners in June for all you beer-loving folks out there. Each of the Monday night dinners includes five courses paired with beer from a changing roster of breweries, and costs $85 per person. Reservations can be made on SeatMe or by calling the restaurant. First up is a dinner with FiftyFifty Brewery on Monday June 3rd, with sardine katsu and a yakitori squab set on the menu. On June 10th, check out the “Gypsy Beer Dinner” with various local breweries like Pacific Brewing Laboratory and Almanac Beer Co. On that menu, look for honey- and shoyu-lacquered duck with pickled rhubarb, basil, and shungiku, with pairings from different nomadic breweries. They’ll also have dinners on June 17th and 24th. Check out their website for full menus and more information on the dinners later in June.